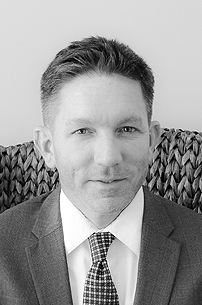 Mr. Whitehouse’s practice includes local government law, an area in which he has been certified by the Florida Bar as an expert and specialist, with his practice based in St. Augustine, and St. Augustine Beach FL. Mr. Whitehouse’s practice also includes general civil litigation, real property and real estate litigation, construction litigation, residential and commercial real estate transactions, contracts and contract law, residential and commercial lease agreements, landlord-tenant issues and litigation, quiet title actions, business sale transactions, confidentiality agreements, probate matters, wills and estate planning. Mr. Whitehouse has extensive experience working with all participants in the real estate development business and working intimately with the various local governments and their staff. His experience includes serving as the Chief Land Use Attorney for St. Johns County, as the Deputy County Attorney for St. Johns County and as the Assistant City Attorney for the City of St. Augustine. Mr. Whitehouse has also handled numerous litigation matters, including contested comprehensive planning matters and zoning matters at Administrative Hearings and in the Trial and Appellate Courts, as well as a number of contested matters in the Federal Courts. Has worked with landowners and developers in negotiating Comprehensive Plan Amendments, Rezonings, Planned Unit Developments, Development & Concurrency Agreements and Impact Fee Credit Agreements. Has reviewed and ensured legal compliance for numerous plats and worked on plat and street vacations. Extensive experience with County and City Codes and compliance, vestings and variances thereto. Extensive trial experience, including many jury and non-jury trials, as well as mediation and arbitration. Has drafted and reviewed hundreds of contracts and various agreements in all subject matter areas. Representation of both plaintiffs and defendants in disputes and litigation involving all types of claims.